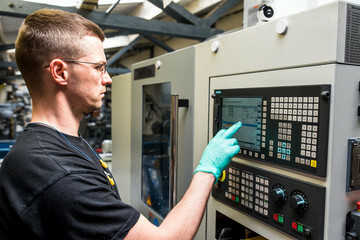 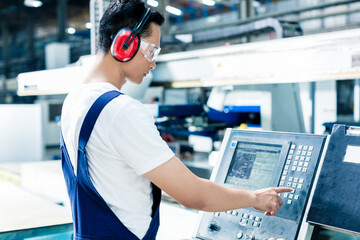 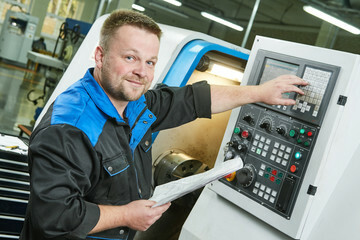 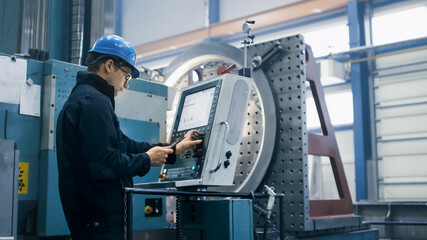 Factory worker is programming a CNC milling machine with a tablet computer. 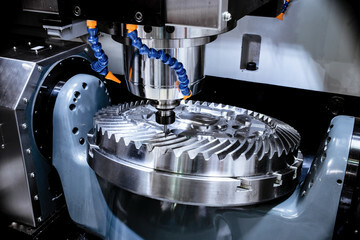 A modern CNC milling machine makes a large cogwheel. 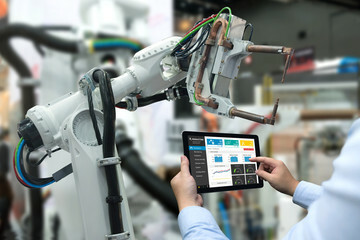 Engineer hand using tablet, heavy automation robot arm machine in smart factory industrial with tablet real time monitoring system application. 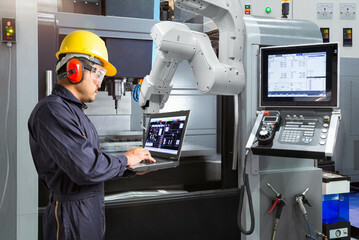 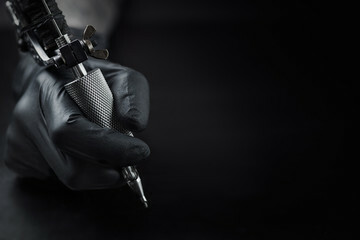 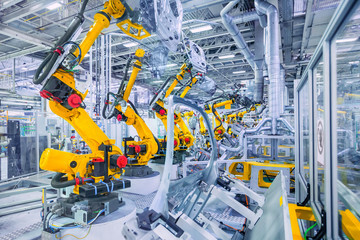 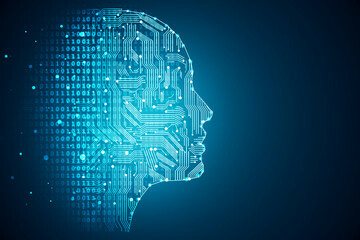 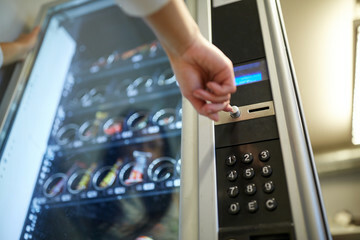 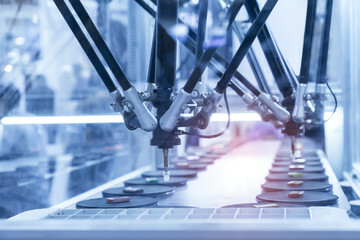 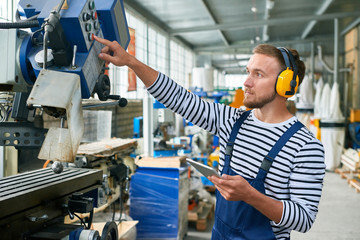 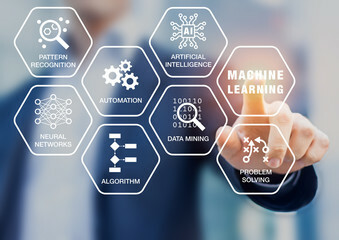 Industry 4th iot concept. 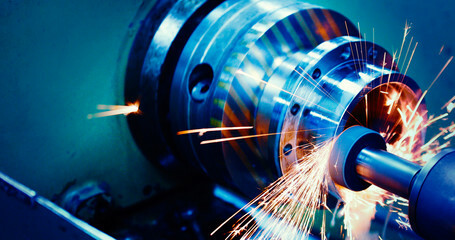 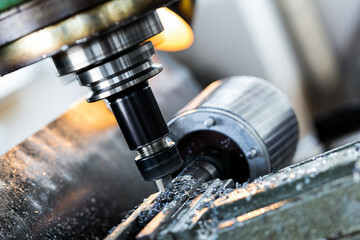 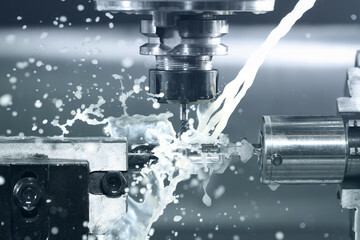 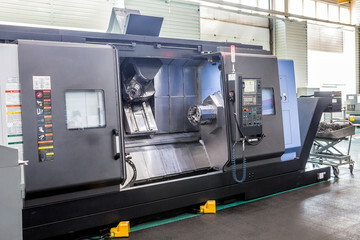 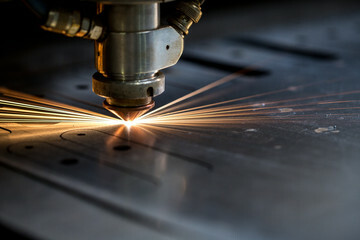 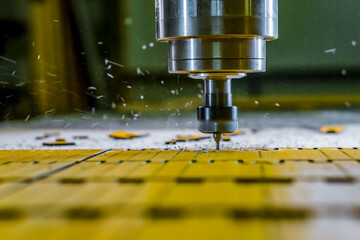 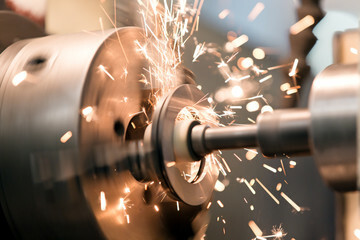 Milling of parts on the machine. 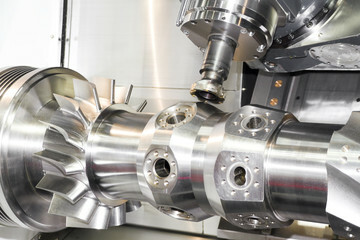 Spindle cnc.